This is the ultimate in training! The absolute highest interaction and attention from your coach. 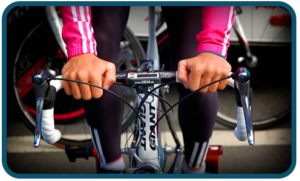 This program gives you everything you could want in order to reach and surpass your goals in cycling. We will come to your house for a weekend each month (or 2 separate days during the month if that is better for you) and give you one on one attention for the entire time. This includes going to races with you during that time and helping you pre and post race (travel and accommodations paid for by athlete). In addition, our on-staff Sports Nutritionist will work with you personally to help develop the best nutritional program for your needs. This is the highest interaction coaching service we offer and the level to detail shows. You not only get an Elite Level coach, but a new partner/best friend to help you with your goals. You have complete unrestricted access to your coach 24 hours a day. Because of this level of service, we only take 1 client per coach in order to assure we can deliver all the personal attention you deserve at this level.